Heat oven to 350 degrees. Melt butter in medium saucepan over medium heat. Add mushrooms, red onion, garlic and flour and cook for 5 minutes, stirring occasionally. Add heavy cream, parmesan cheese, lemon juice and parsley and cook for an additional 2-4 minutes or until most of the liquid has evaporated, stirring occasionally. Remove from heat and season with salt and pepper. Spoon about one tablespoon of filling to each phyllo cup and place on baking sheet. Bake for 10 minutes or until edges of phyllo cups turn golden brown. 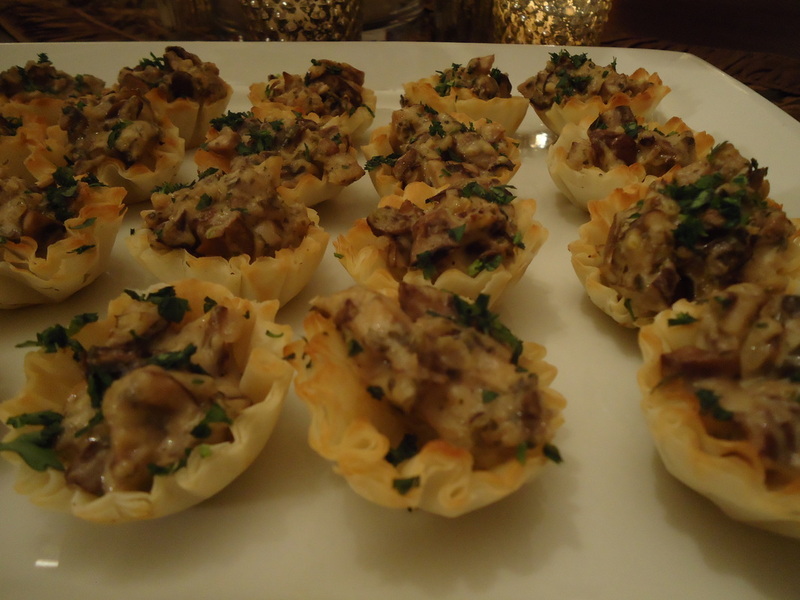 (Filling can be made two days in advance) Place tartlets on a platter and garnish with fresh parsley.